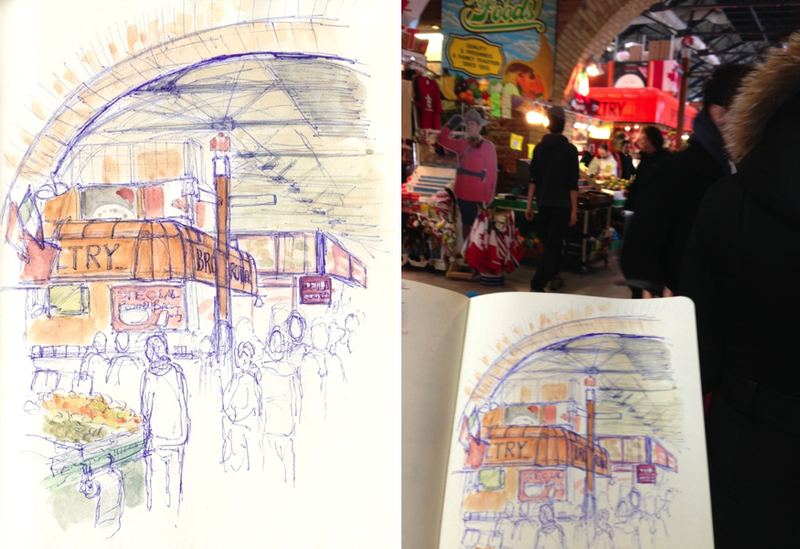 We had a great turnout for the meetup at the St-Lawrence Market. It's one of the major landmarks in Toronto named the best food market by National Geographic, it also received the seal of approval from celebrity chef Antony Bourdain. 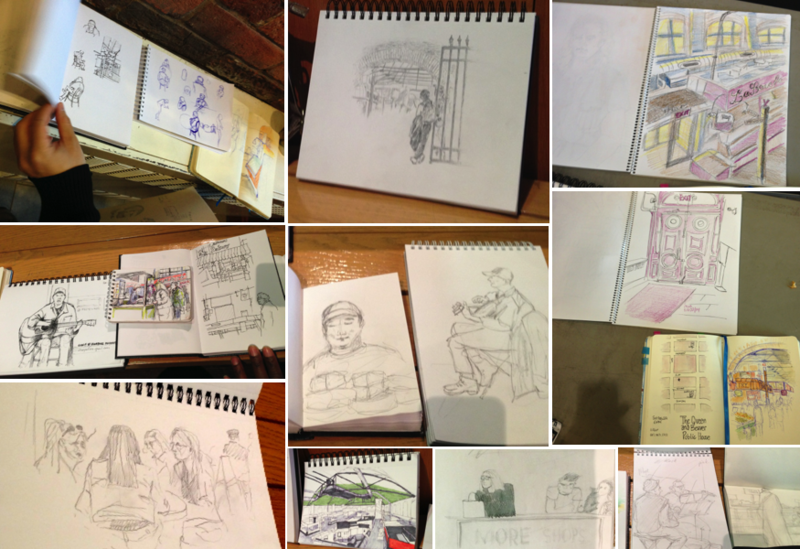 There is a lot of activity and a lot of great subjects to sketch there. The sketchers were very prolific and came up with great sketches as you can see above. I think they successfully captured the personality of the Market. I sketched some of the merchants's stored on the main floor with the goal of capturing a portion of the feel of the area. It was bustling with people, both locals and tourists. Some were purchasing their groceries, some were eating food, and others were taking pictures. A lot of merchants were giving out food to sample while a musician was playing guitar and signing in the background. 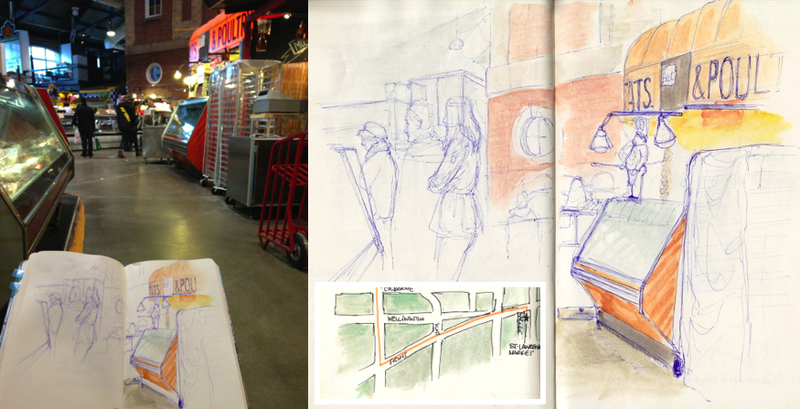 After out sketching session, some of us joined other sketchers at the Queen and Beaver Public House. It's a nice little pub right downtown with a very homey atmosphere. I managed to capture a couple people while we were there as well.